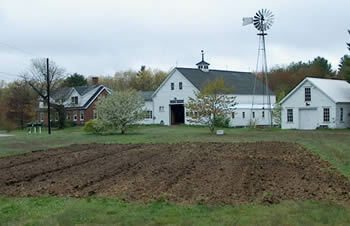 Founded by the Chick family in the 1700's, Chick Farm has been producing poultry since the 1920s. In 2001 we added vegetables to our operation and a year later we were certified organic by MOFGA. Our organic pastured chicken can be purchased at the farm, with fresh chicken available May to October and frozen chicken on hand all year as supplies allow. We also sell organic asparagus in May and June and offer pick-your-own organic raspberries in July. Please visit our website or contact us for more information. At farm (call ahead). All products sold at the farm by appointment.